This feels like mission accomplished for me. A pair of comfy trousers that actually fit. Not for me sadly, but for my eldest. I have wanted to try this pattern for a long while, taken from the Ottobre Design issue below, which is one of my all time favourite issues. 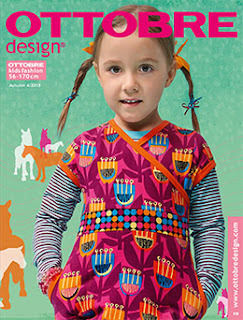 I have made the dress on the cover here and the applique horse for a gift here. A while back when I ordered the fabric, I asked Boo to choose something for a sweater/hoody. This was her choice and while I wasn't 100% on board, I did ASK her to choose herself. When it arrived I had one of those moments where you think, what the heck am I going to make with this? It's cool. But still, no idea! Then I figured, everybody needs crazy pants for days at home. And here they are. I blended two sizes to get a better fit. I went with the 146cm with the length of 134cm. I ended up taking a large hem on the legs as they were a smidge too long, but am happy with the overall fit. Not too baggy, nice and slim down the leg. I had the perfect black drawstring in my stash so didn't have to make one as the pattern instructs. I would always choose to use a ready made one where possible because cutting a thin strip out of knit fabric, folding, pressing and sewing it down neatly seems like too much hard work! Yes I will definitely be making these again. I would love to try some out of velour and have seen some lovely colours online. I might just get to choose myself this time!! I love these!!! And I love that issue of Ottobre, too. I was just looking at these and wondering how they sew up, so your review was right on time for me! Thanks - and yeah everyone totally needs crazy pants at home! Heck yeah! They have a smaller size range in the same issue, so would be perfect on Miss M! I now have to wait until payday (tomorrow) to stock up on some more knits. She keeps asking for them to hurry through the laundry, so I can tell one pair isn't going to be enough! These turned out SO cute!! I absolutely love those lightning bolts, they're so rad! Thank you so much. If they choose the fabric, it is sure to get worn right? 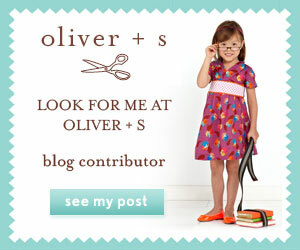 Congratulations on the launch of your new childrens wear line, it look great! Thanks Cindy, it is a good pattern for her.